Well, that’s misleading. It’s not a finale. I’ll definitely be doing more…. 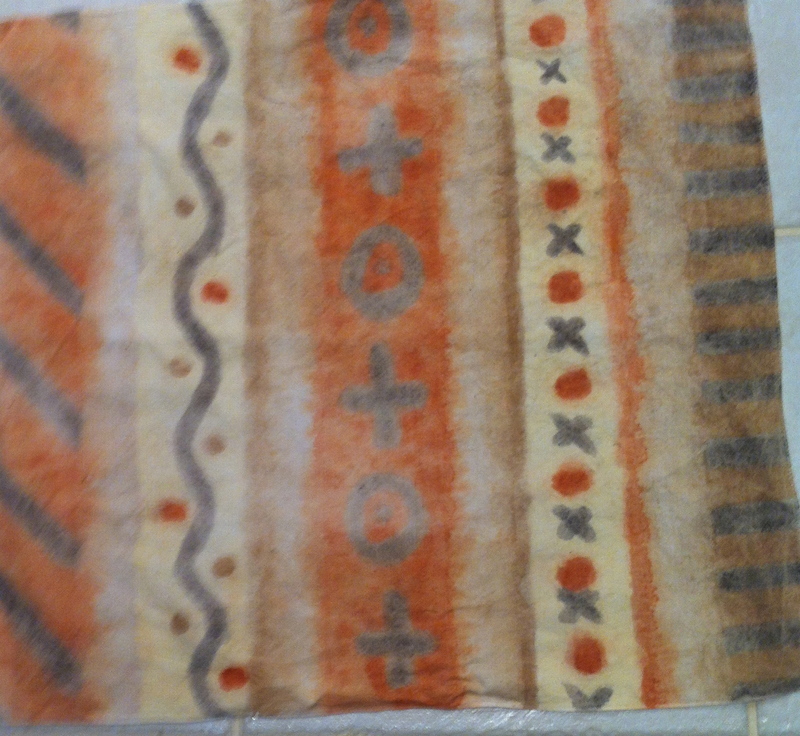 But today was the last day of the two day WAFTA workshop on Mud Cloth with Judy Dominic. (http://www.judydominic.com/mudcloth.html) Judy taught us a lot. She also frankly shared what she did not know…the secrets lying in the black mud of the River Niger (running through Mali) that mean we outside of that country can’t even hope to get the same effect; we can only approximate…. The workshop was a revelation on a number of levels. First, of course, I’d never done mud dyeing before. I related really well to the natural dyeing concepts involved. Second, my workshop colleagues were a well-educated bunch of women who focussed not only on the techniques being taught but also on the science underlying it. So the questions were profound ones. Followed by energetic pursuit, using i-pads, of the answers. And a lot of informed speculation. Thirdly, there was a choice available to us in terms of getting an outcome. We could apply a “retention agent” to the reverse of our mud-painted fabric; or we could dry it and put it away for two weeks to 6 months to “cure”. I opted for a mixture. 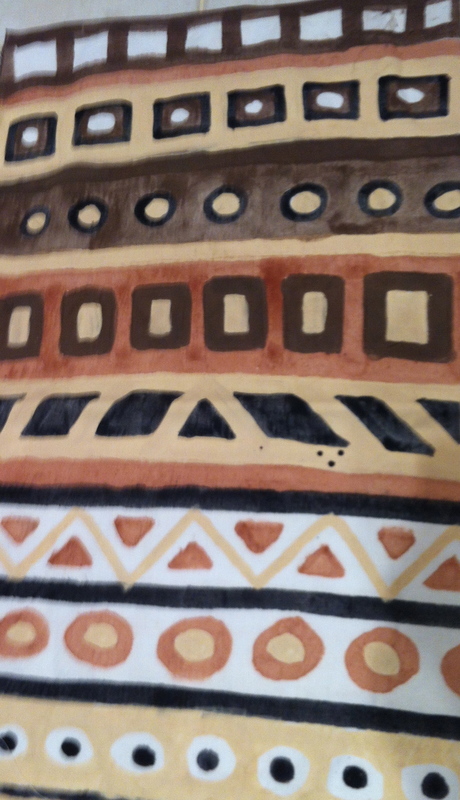 The immediate gratification of seeing the work after painting it with the retention agent. And the longer term “rewards” of putting the fabric away for 6 months. Which means I won’t have an outcome until October 2014!! 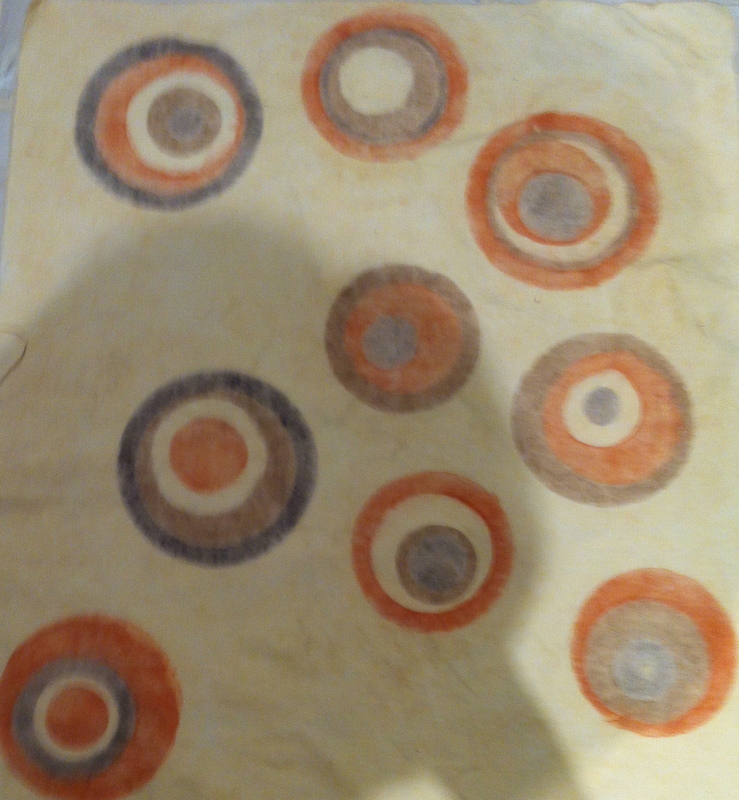 The following are images are of fabric I painted and, after drying, applied retention agent. 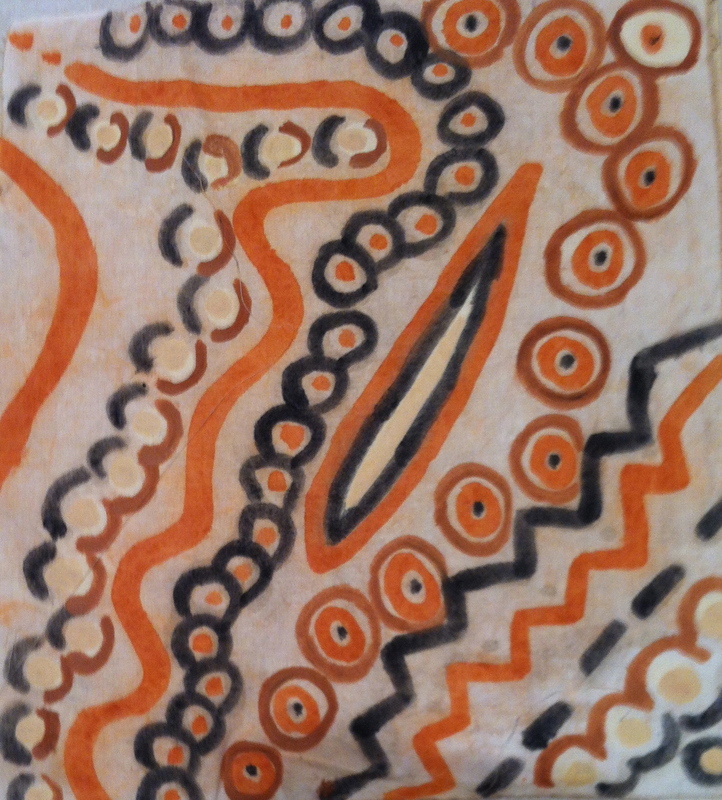 The next images are of fabric that’s been painted with mud but not painted with retention agent. The objective with these is to put them away for 6 months to ensure maximum dye take up. Results to be revealed!! Looks fantastic Margaret. I love your designs! They look great – will be interesting to see your results after the batching time & how they compare to the ones painted with the retention agent.